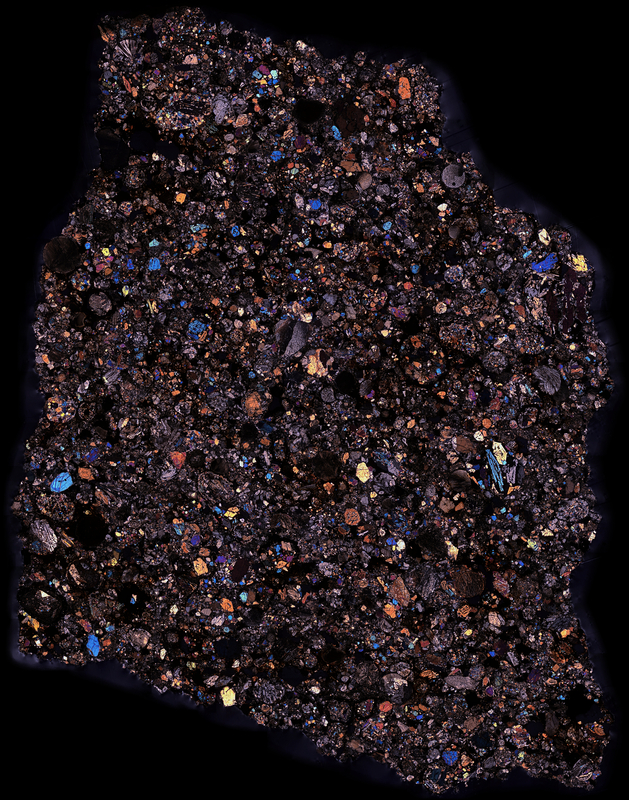 Thin sections of the Saratov (Саратов) meteorite in cross polarized light dazzle observers with dozens upon dozens of distinct chondrules. This specimen has numerous almost perfectly circular chondrules and many radial pyroxene chondrules. Its fall was witnessed on October 6, 1918. Additional pictures on Meteorite Times.